Things I do for other collectors. Well my brother. He had game boy advance games. And the cardboard boxes they come in can get annoying to open and close. So if you look at the older Nintendo ds cases, they have a slot for gba games. 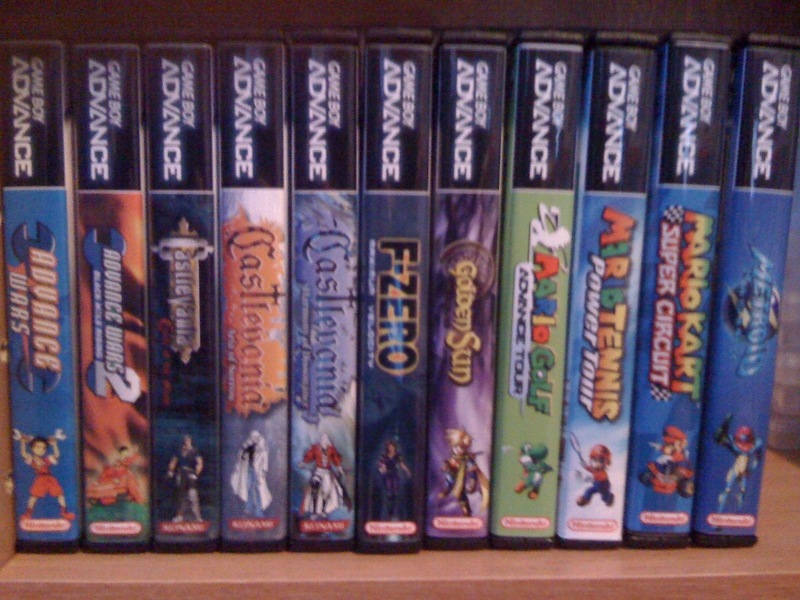 Well a website called coverproject.net has gba game covers you can print to fit in DS cases. Well the thing is they arnt very good. So I went out on a mission to redo them. Here are the spines. Each one has a character and the logo on the bottom. Later I’ll show the covers, but for now just the spines.